For decades, airport food choices were dismal. Your options basically came down to greasy chains or peanuts on the plane. That stayed true even as people in the US started to care more about where they ate and where their food came from in the mid-1990s. But now airports are starting to catch up. Flight hubs across the country are bringing in local restaurants to give travelers a taste of the city without leaving the airport — and not just in fancy airport lounges. Today’s travelers can get local beer and sausages in New York City’s JFK airport, Farmers Market meals in LAX, and eat their way around Phoenix’s most-loved restaurants in one terminal. Not to mention all airport Shake Shacks and great airport bars. The focus on food makes sense because people have to eat one way or another and airports force a captive consumer base. According to an Airports Council International-North America study, people spent $665 million on airport food. New York’s Rochester International Airport is another place using food to attract visitors. It underwent a multi-million dollar upgrade that finished in 2018, and Monroe County Executive Cheryl Dinolfo saw it as an opportunity to highlight the food the area does best. 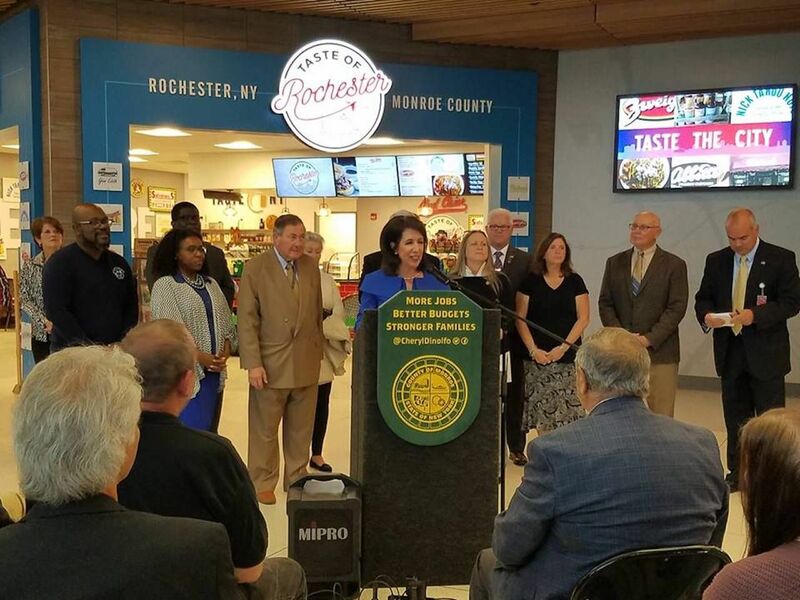 The airport installed a locally owned and operated concession called Taste of Rochester that serves what the town is best known for (including Rochester’s famous garbage plate). In all, 25 Rochester area restaurants and food-product companies are included. Good food took so long to get to terminals because it’s hard to do. Restaurants have to be open long hours every day of the year, and each worker — and all of the food — has to go through security just to start the day. Chefs and other food staff already have it hard enough working at a traditional restaurant, and all the added stresses just exacerbate issues. It’s all an easy recipe for extremely high prices and the risk of attaching a local brand name to food that might not be up to par. The challenges can be worth the cost for businesses, though. Airports give restaurants name recognition among travelers who either already know about the city or are about to learn more when they venture out of the terminal. To be realistic, though, most travelers probably won’t leave the airport unless at their destination or faced with a long layover. However, Dinolfo joins many other officials in hopes that by spotlighting local foods they can stand out among competing airports. Rochester travelers could easily fly out of Buffalo or Toronto instead. They also hope maybe they’ll come back in the future, or as Dinolfo said, think to set up roots in other ways. But the clear winner here? Travelers. Without even stepping foot outside of the airport, many get to taste authentic, regional foods without the work of planning an entire trip. If nothing else, regional restaurants in the airport slightly make up for the decrease of in-flight food and crazy flight delays.